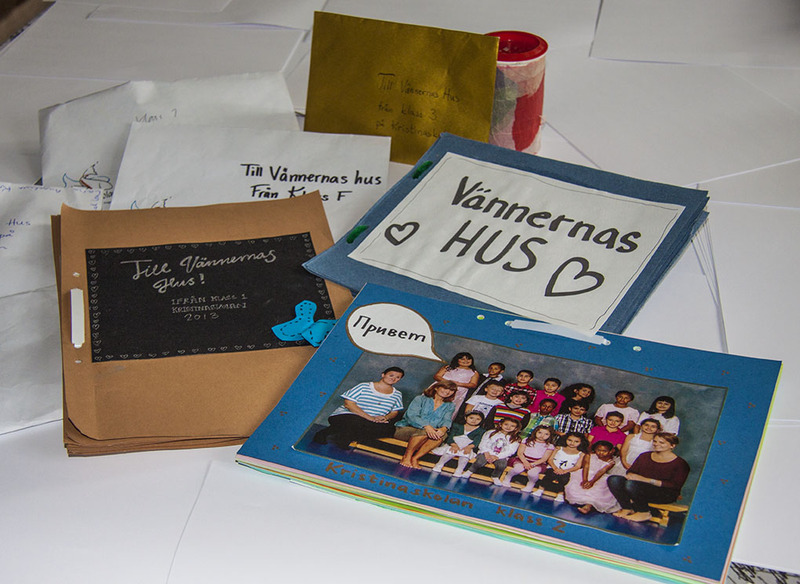 Home › Uncategorized › A joyful visit to the ” Kristina School” in Sweden. A joyful visit to the ” Kristina School” in Sweden. On the UN day,24 October , I visited this school . Children of Kristina school has faithfully collected money year after year , to help children in need in Ukraine, especially in the Friends House . There were about 200 children with the teachers gathered in the big sporthall. . It is wonderful to see all these children , many come from other parts of the world where there has been war , or still is war. There are also a few children from the Ukraine there. We spoke a little Russian to each other afterwards. No matter what color or where they come from , they have together with the Swedish children who also are there of course , one goal. One Heart . To help other children who are suffering. After I finnished my speach, they came to me and gave me drawings , booklets , envelopes with money collected from the various classes. A little baking soda can converted into a collection box was handed over formally by a boy. Then I received many hugs, and an additional gift of a boy who cried, ” wait , Boas ”. He came running up to me and handed a two pence coin . How wonderful to be a part of such a Heartiness . 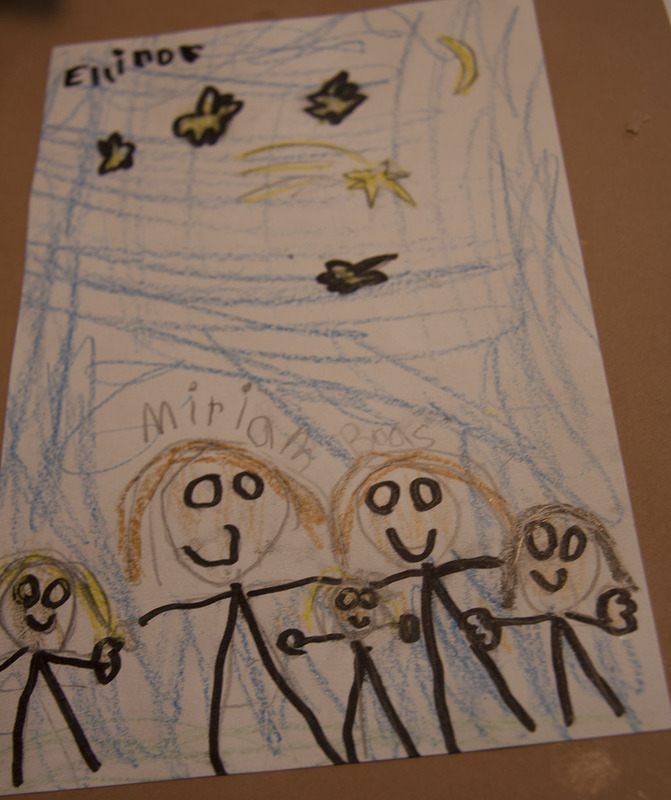 A young artist,has portrayed Mirjam and Boas. Nice. to move on. I am humble and grateful to these children , and to the Kristina school, and their staff . I wish them all God’s richest blessing. With tears of joy and happiness , I sat in my car and went on.